Hydrogen atom is the smallest, basic, stabile, unclosed quantum formation. See explanation in article “Hydrogen H atom structure:”. 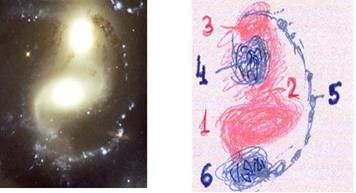 The explanation of Stephan's Quintet galaxies help us to Describe better the atom , (gravitational wave). 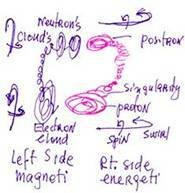 3 positron (cloud, swirl); 450. 7. Electron orbits around proton. (Feynman “Sum over histories”). 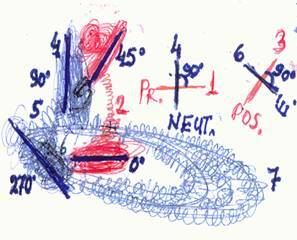 Proton – Neutron wave formations 900. .
Electron – Positron 900 wave formations. Description of behavior Hydrogen atom, (gravitational wave). Proton, like Kerr swirl” black hole” propels energetic pathway which by revolving and rotation motion, this one energetic paths creates additional three atomic particles and form closed formation-bubble formation.